← So Much Genetic Genealogy News! My office has been a mess since I moved into this home August 2016. But I still get all my work done! 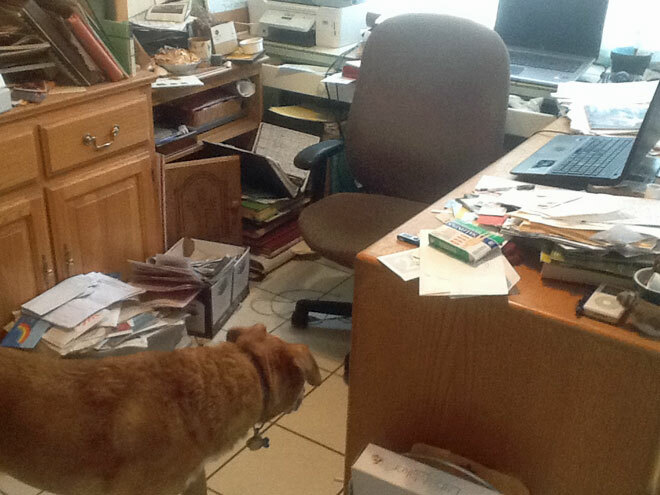 I now know that my messy office is normal for a family historian! I absolutely LOVE that you are making optimum use of space and objects by using the cabinet door to hold your notebook open! Brilliant minds ..